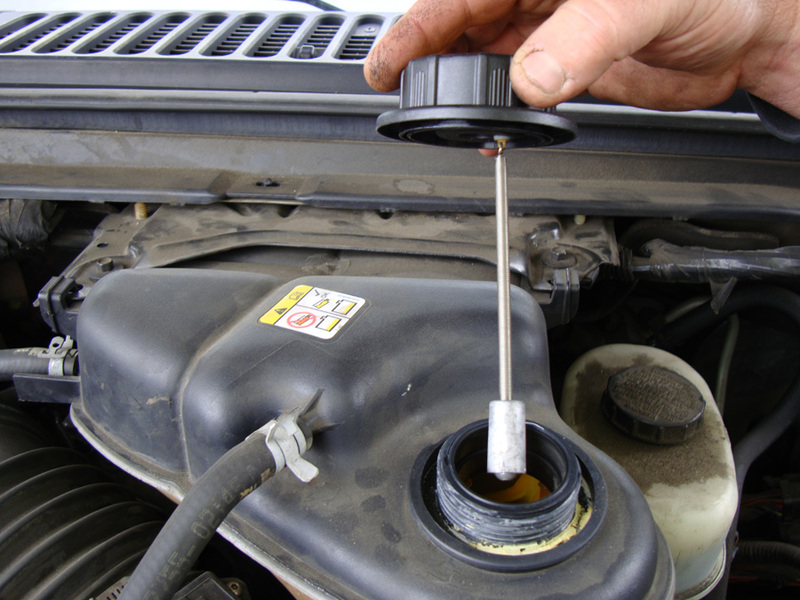 This is a patented, scientifically tested radiator cap with a magnesium sacrificial anode attached to the bottom of the radiator cap that hangs down into the coolant. The anode is designed to attract and absorb the electrical energy that causes electrolysis and the magnesium is consumed instead of the aluminum components in the cooling system, thereby reducing repair and maintenance costs. 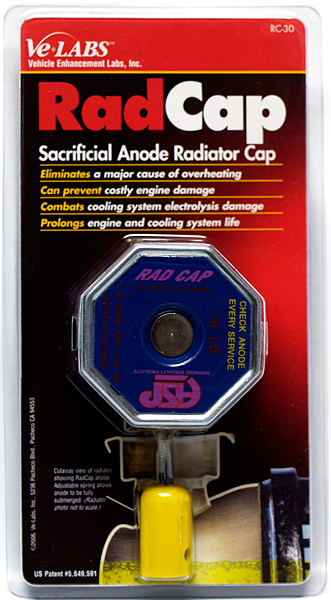 When installing the new Rad Cap it is best to remove the original radiator cap when the engine is cold to avoid getting burned with hot coolant. There are two styles of sacrificial anode that attach to the bottom of the cap. The one with the spring on the end of it can be adjusted by pulling apart or pushing together the spring to ensure the anode is sitting in coolant. The other style has a chain and needs no adjustment. Make sure the cap is securely tightened. Occasionally the cap should be removed to inspect the anode as it will disintegrate over time, which is normal as it is absorbing the electrolysis instead of the aluminum components in the cooling system.